Many electronic music producers use SoundCloud these days to reach their audience. In fact almost every one of us uses SoundCloud to get music to our audience. But SoundCloud is so much more than just a simple music streaming platform, it’s a great way to get in touch with your audience and get exposure. It is such a mighty tool, you cannot neglect it. Although SoundCloud offers much more than just simple streaming, it’s nevertheless all about the music. That’s why you use SoundCloud, be it as musician or producer or as listener. As a producer, you want your music, your product, distributed in the best way possible, you want to reach your audience with the best you can offer. That does not only apply to your song’s production quality, it applies also to the quality of the streamed audio. This is totally understandable since SoundCloud’s purpose is to discover awesome new music and to get in touch with your audience and not providing an audiophile environment. In this article, you will learn why streamed music on SoundCloud does not sounds as great and what you as a producer or musician can do to make up for this. In fact, you will learn what to do to achieve better sound quality for most audio streaming platforms like SoundCloud, Spotify or Pandora. If you have listened to a song on soundcloud before, and if you have moderately trained ears, you have surely noticed the poor audio quality of SoundCloud’s streaming. This is no surprise: SoundCloud state on their helpdesk that every song is transcoded into a 128 kbps joint-stereo mp3 file, and that is pretty much the worst quality imaginable (I’m talking, of course, from a 2015 perspective). Yes, if you enable the download option on your track, the source file will be made available for download, but since some of you still want to sell your music, you might not want that option enabled. So, there’s a technical aspect to the audio quality, but it doesn’t end there. If you want to deliver the best quality to your audience, you have to think from their perspective: how do your followers listen to your music? They probably don’t do it with top-notch equipment at their hands, they probably don’t even hear your music using proper speakers. A quick look at your statistics will show everything you need to know about your audience: in my case, roughly half of my followers listen to my music using mobile devices. Probably while they are on the road and/or using the mobile device’s built-in speaker. The other half plays my music using soundcloud.com, and the chances are pretty good they don’t do it in the studio or on hifi-equipment. Yes, I know it’s dire. We put so much effort in providing great sound, but we do have to face it: listening habits are nowadays based around mobile devices, and this will soon be the main platform where people enjoy our music apart from the club. So what’s the huff, you might say, I’ll just render it as 128 kbps mp3 and upload that one! Sadly, this won’t do it. SoundCloud will transcode your file no matter what, and a low-quality mp3 file that’s transcoded a second time will only improve things for the worse. What I suggest is that you make two masters: one for all applications where you need high quality (lossless downloads, cd/vinyl masters, etc.) and one for streaming purposes. I don’t want to cover mastering in general in this article, I’ll stick with what differs from the usual mastering process if you produce a master for the preconditions stated above. The stereo signal is analyzed and the left/right channels are compared with each other in order to join what is similar. There are several techniques allowed for mp3 encoding, but the basis of all these techniques is to find out what information is redundant and can be discarded. You can find out more about joint here. According to the human’s hearing threshold (Fletcher-Munson curves, see image below) parts of the audio signal within a range of reduced audibility will be reproduced with lower quality. Signals masked by other signals (auditory masking) will be encoded with reduced precision. The lower the bit rate of the mp3, the more information is lost. 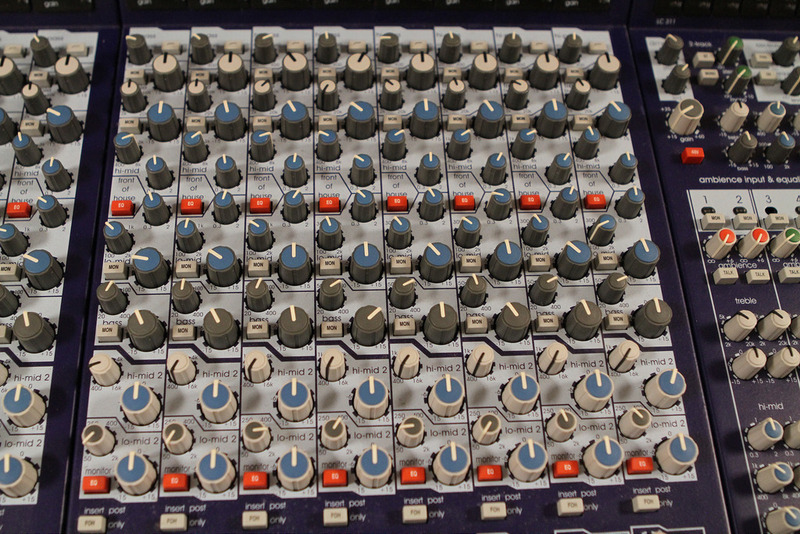 The second complex to keep in mind is the hardware used for playback. It’s not important if we’re talking about mobile phones or tablets here, if we’re talking about built-in speakers or bluetooth gear. It’s most likely the device used for playback doesn’t offer the frequency range a studio monitor or even a low-range hifi-speaker offers. The first and most important thing to keep in mind is the reduced frequency range. As stated above, parts of the audio signal that are in a range of reduced audibility will be reproduced with lower quality. That is why high frequencies often sport bad, almost ear-crushing artifacts in low-quality mp3 files. Also, the mp3 codec uses a filter to cut the signal at a specific frequency depending on the bit rate chosen. At 128 kbps, we’re talking about a high-cut at about 16 kHz. But if we have a look at the Fletcher-Munson curves, there are low frequencies too that are within a range of reduced audibility. Also, playback on a mobile phone with most headphones or even the built-in speaker means a significant loss of frequency range. So the first step would be to apply a high-cut filter at 16 kHz and a low-cut filter at a frequency you can bear without losing to much of your groove. The second step is to reduce stereo complexity. Mono compatibility is something you should always be aware of during the mixdown or even during sound design, but if you do use a stereo imager during mastering, don’t go crazy on it. The last step is something that can’t be fixed in mastering, so I guess it’s not correct to address it in this article. But anyways, since most of us do this as a one person show, keep in mind to keep your song clean and don’t clutter things up. Remember, signals masked by other signals will be encoded with reduced precision, so EQing properly and separating your instruments in terms of frequency is crucial. This will not only give you less artifacts and a better sounding mp3, it will help you achieve a better, pounding and well-produced sound. After applying these steps to your song, bounce it lossless in high quality and upload that file to SoundCloud so there will be as little as possible loss during the transcoding. If you keep these simple steps in mind, you will produce better sounding tracks for SoundCloud and in fact for any other music streaming platform. What are your experiences? Have any hints for us at hand on how to improve your sound quality on SoundCloud? Leave a comment! Fabulous article, great tips and thank you for pointing me at it.